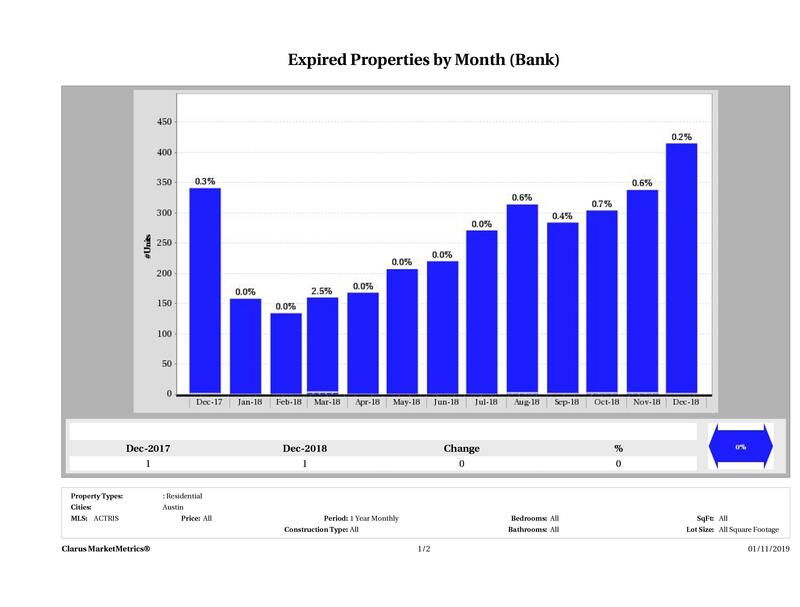 Eleven Oaks Realty is proud to present their February 2019 Austin Foreclosure Market Report measuring activity in the single family home foreclosure market. 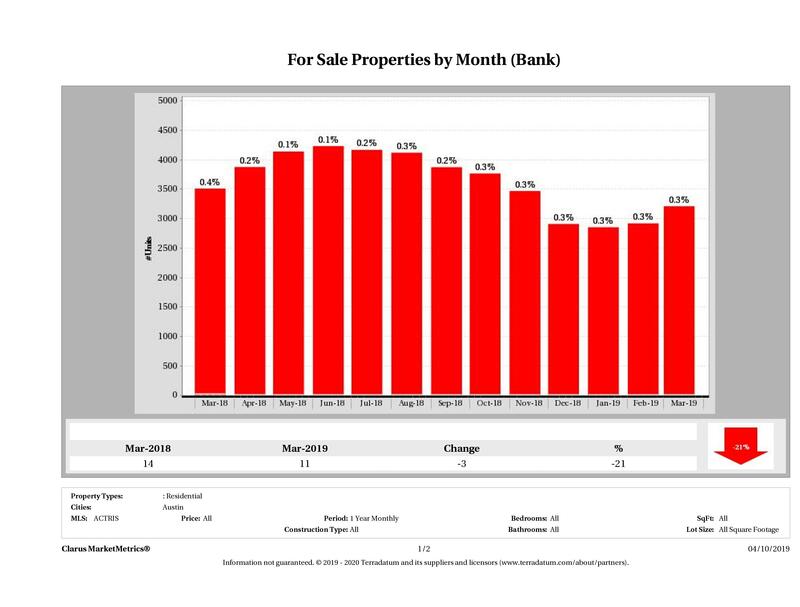 In March 2019 there was a 50% decrease in the number of bank owned homes that sold in year over year figures. 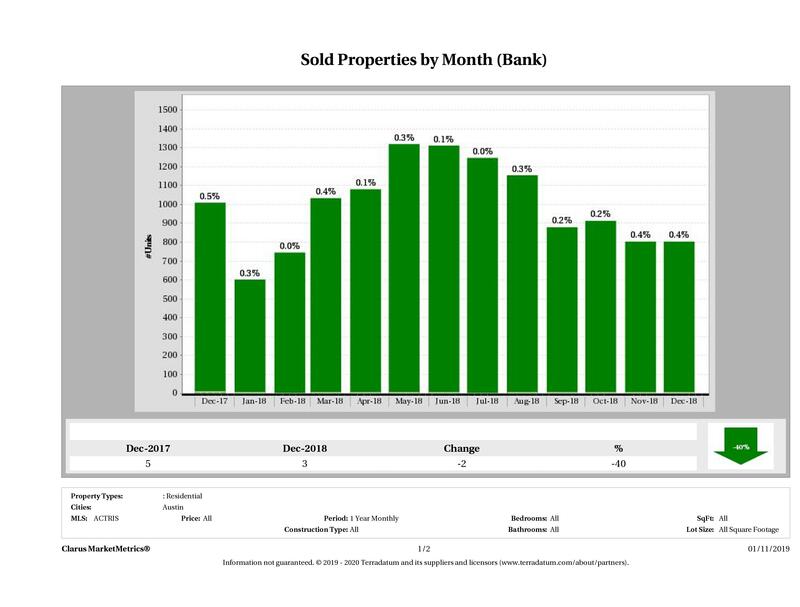 In March 2018, there were 4 bank owned homes that sold (closed escrow) compared to 2 in March 2019. Bank owned homes (foreclosures) accounted for 0.2% of the total home sales in Austin in March 2019 and 0.4% in March 2018. The overall market saw a 12% decrease in the number of homes sold compared to last year’s numbers. 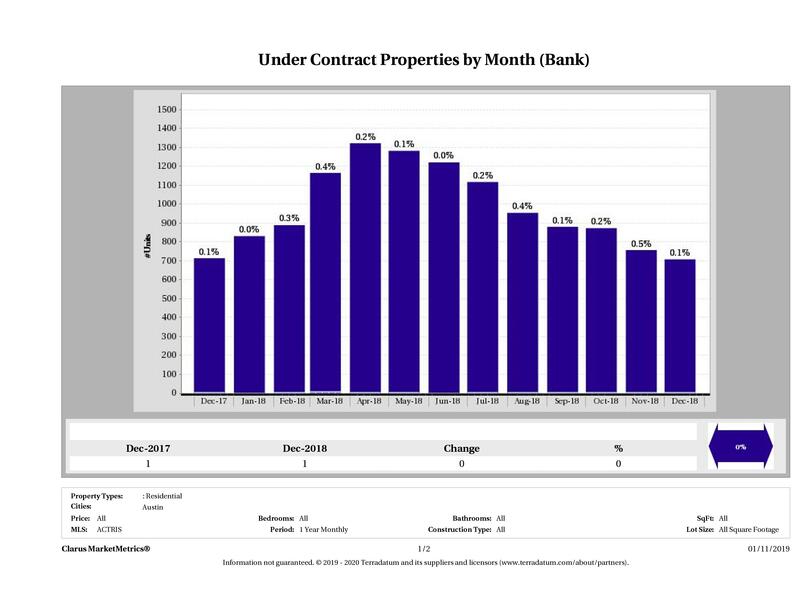 In March 2019 there were 3 bank owned homes that accepted a contract (pending) compared to 5 bank owned homes in March2018. 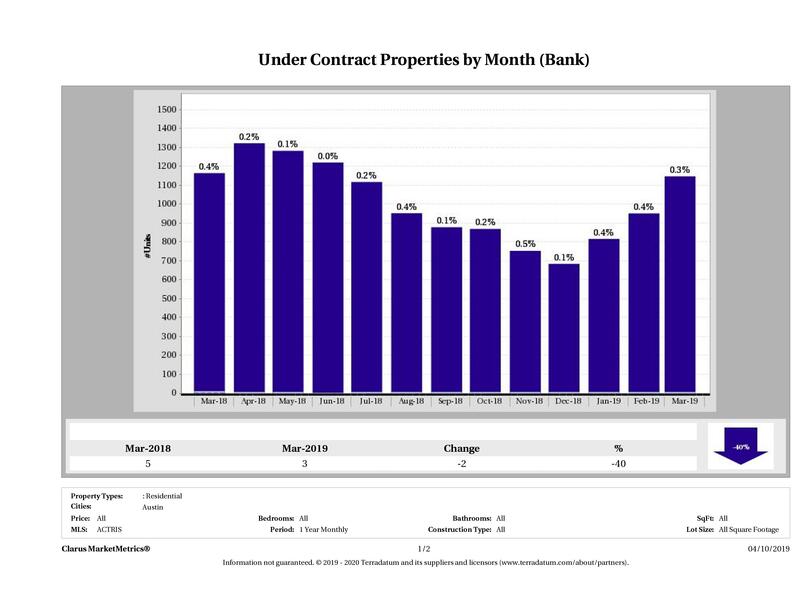 Bank owned homes accounted for 0.3% of the homes that went under contract in March 2019 compared to 0.4% of homes that went under contract in March 2018, showing just how small a percentage the distressed market takes in Austin. The full market was down 1% in the number of homes that went pending compared to last year at this time. 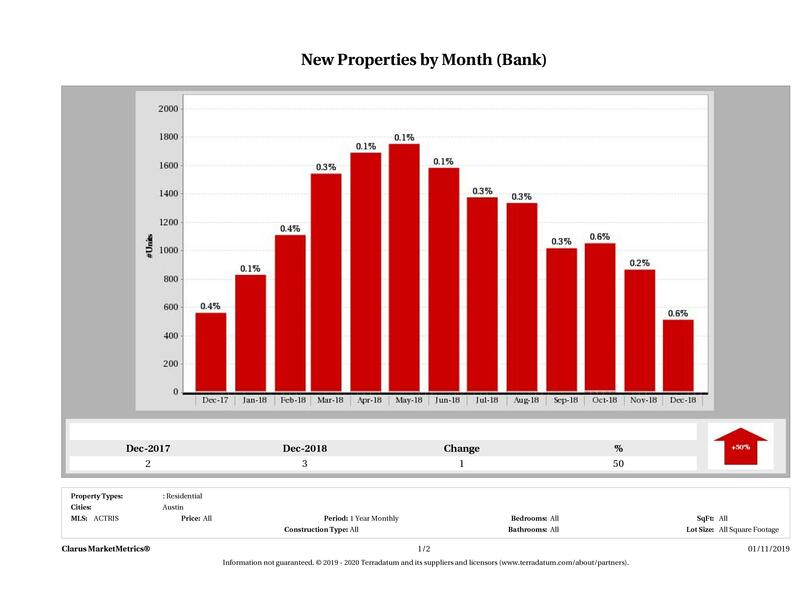 In March 2019, there were 5 foreclosures (homes owned by the bank) listed for sale vs. 5 in March 2018 showing no change in year-over-year numbers. 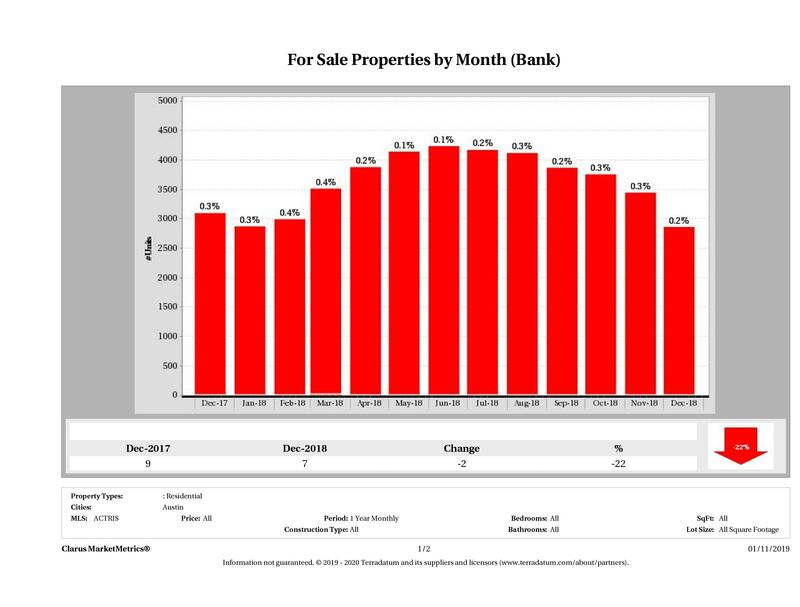 Bank owned homes listed for sale made up of 0.4% of the full market in March 2019 and 0.3% in March 2018. 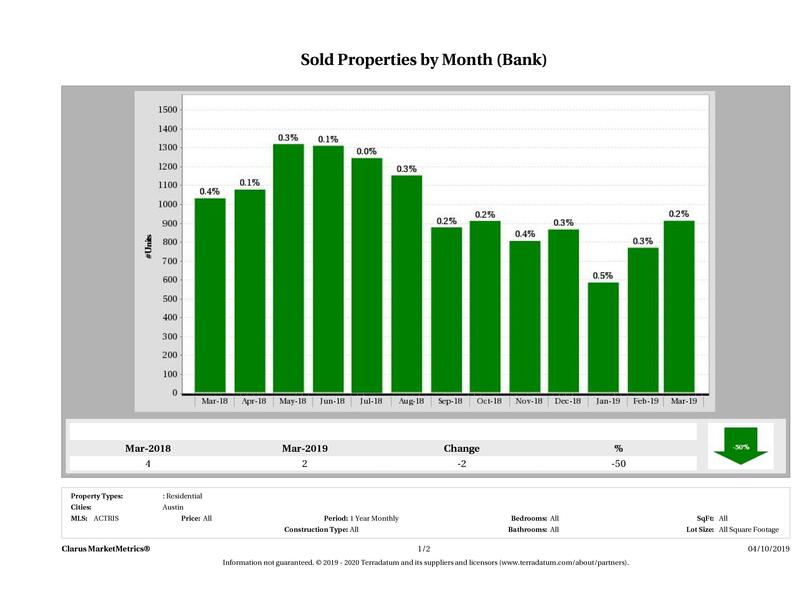 The full market had a 10% decrease in new listings this month. 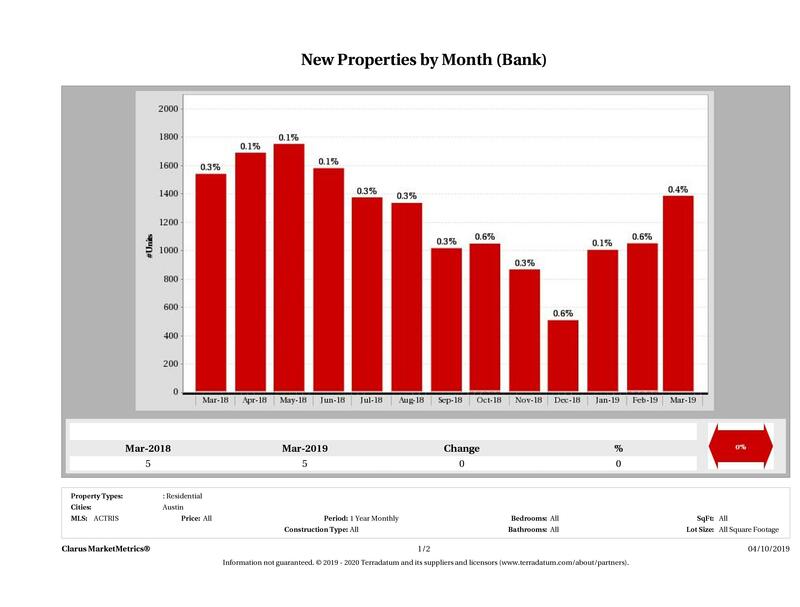 The number of bank owned homes in Austin currently on the market saw a 21% decrease in year over year numbers. The number of bank owned homes for sale made up just 0.3% of the market in March 2019 and 0.4% in March 2018. The full market saw a 9% decrease in the number of homes for sale this time last year. In March 2018 banks took 4 homes off the market vs. 0 in March 2019. 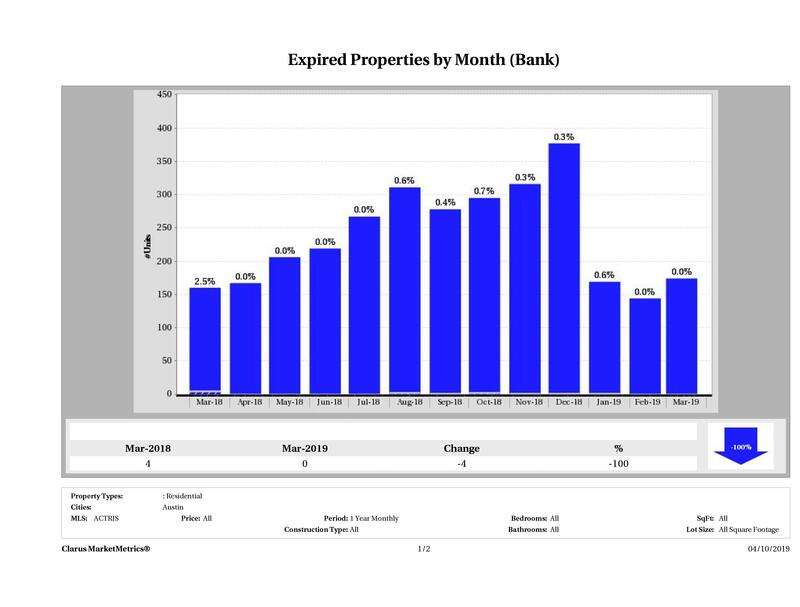 Bank owned homes made up 0% of expired properties in March 2019 and 2.5% in March 2018. The full market saw an 9% increase in the number of homes taken off the market. With a combined 60+ years of experience, our team knows how to get banks to accept your offers, even in a competitive market like we’re seeing here in Austin. We’ve helped several people buy foreclosures and also purchased them for our own properties. For more, check out Guide to Buying Foreclosures in Austin and our Buying a Home in Austin Guide. Then, call us at (512) 827-8323 or email us at info@11OaksRealty.com to schedule a no obligation conversation. Together we can come up with the best strategy for you to buy a bank owned home in 2019.